After a flurry of activity surrounding peregrines last week, this week the RSPB's investigations team has been busy dealing with two instances of shot red kites. The unfortunate individual below was found dead near Toddington in Bedfordshire. The body was sent for post-mortem examination - and the resulting X-ray was something of a shock. This was clearly no accident, and the bird will most likely have been shot at close range to incur this level of damage. It is especially sad considering the lengths that have been taken to re-introduce these splendid birds to England. Red kites feed mainly on carrion, so there is no logical reason for these birds to be targeted. Special thanks go to the Zoological Society of London for carrying out the radiograph. Meanwhile in the Yorkshire Dales, locals are making a bold stand against the relentless persecution of birds of prey. 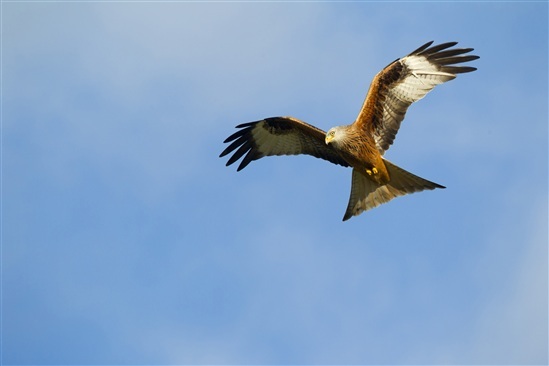 Two resident businessmen have jointly offered £1,500 of their own money for information following the death of another red kite in Nidderdale. This tops up the £1,500 already being offered by the RSPB to make the reward a grand total of £3,000. The gesture was sparked after another red kite was found shot dead near Greenhow, in Nidderdale, North Yorkshire. 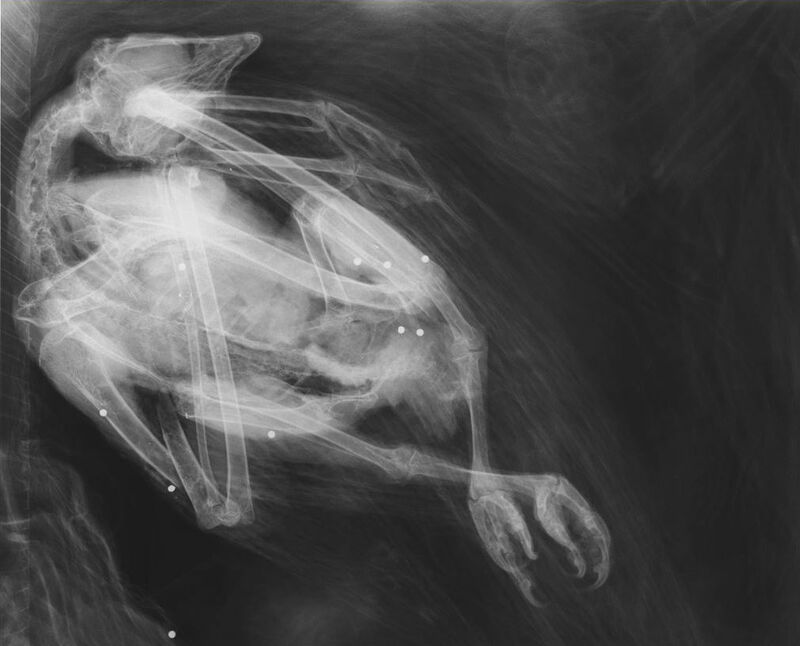 The bird was discovered on 11 March and, after examination, was found to contain lead shot. North Yorkshire police issued an appeal for information. As many of you know, North Yorkshire has a historic problem with crimes against birds of prey. There have been 24 confirmed incidents of red kite persecution alone in the last 10 years. But, frustratingly, no-one has yet been prosecuted. “Nidderdale is an Area of Outstanding Natural Beauty, and part of its beauty is seeing these incredible birds soaring overhead. People love seeing them and photographing them, and to hear that they are being targeted is simply disgusting. “Continued reports of birds of prey being shot is not only damaging our area’s wildlife and local countryside but its reputation as well. We want to send a clear message that the people of Nidderdale do not condone this behaviour and are taking positive action to stamp it out. Large and graceful, red kites are native to the UK and were once widespread. But just 40 years ago they were one of the rarest birds in the country, having disappeared from England a century before due largely to persecution. A few pairs clung on in central Wales, then in 1989 red kites were re-introduced to the Chilterns, and to North Yorkshire in 1999, in what has been one of the world's greatest conservation success stories. PC David Mackay, a Wildlife Crime Officer at North Yorkshire Police Rural Taskforce, said: “It has taken many years to re-introduce red kites after their near-extinction from the UK, and these magnificent birds can now regularly be seen in the skies over North Yorkshire. For our part, it’s great to see people rallying behind birds of prey. People really do feel a sense of ownership over their native wildlife and wild places – and rightly so. The future of red kites in the UK is very much in our hands – for better or worse. These beautiful wild birds rely heavily on our goodwill, and without persecution can (and do) live harmoniously alongside us, enhancing our experience of National Parks like the Yorkshire Dales. At the present time the sad reality is that persecution is widespread and out of control. The same evening this blog went live, police issued an appeal for information after a female red kite was shot, this time in Hertfordshire. The bird was found wounded, in distress and unable to fly in Buntingford. It was taken to a vet, who concluded that it had been shot - and due to the nature of its injuries the bird had to be euthanised. Rural Operational Support Team Sergeant Jamie Bartlett said: “All wild birds are protected under the Wildlife & Countryside Act. Not only is this a serious criminal offence but this female would have been ready to breed this season and its death will impact on the local kite population.